Amazing video about the brain with nice visual support. The same way we begin to understand a city: by making a map. In this visually stunning talk, Allan Jones shows how his team is mapping which genes are turned on in each tiny region, and how it all connects up. You are looking a visual reconstruction (from array-tomography data) of synapses in the mouse somatosensory cortex, the part of the cerebral cortex that is responsive to sensation. Neurons are depicted in green; multicolored dots represent separate synapses. Very instructive video about basic brain functions and their location integrated in explaining how we give meaning to our surroundings. The new Grand Round of Brain Blogging is up at Brain Blogger, be sure to check it out. 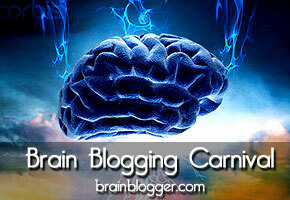 Valuable information of brain bloggers from all over the world. Welcome to the forty-fifth edition of Brain Blogging. In this round, we discuss new trials using stem cells for stroke, the neurobiology of empathy, if brain tonics really work, the connection between obesity and mental illness, and many more topics. Remember, we review the latest blogs related to the brain and mind that go beyond the basic sciences into a more human and multidimensional perspective.